When I started working for the U.S. Paralympic Alpine team I never thought the experience would end up putting me in the front row for a Paralympic Winter Games. At first, the job can sound very romantic. 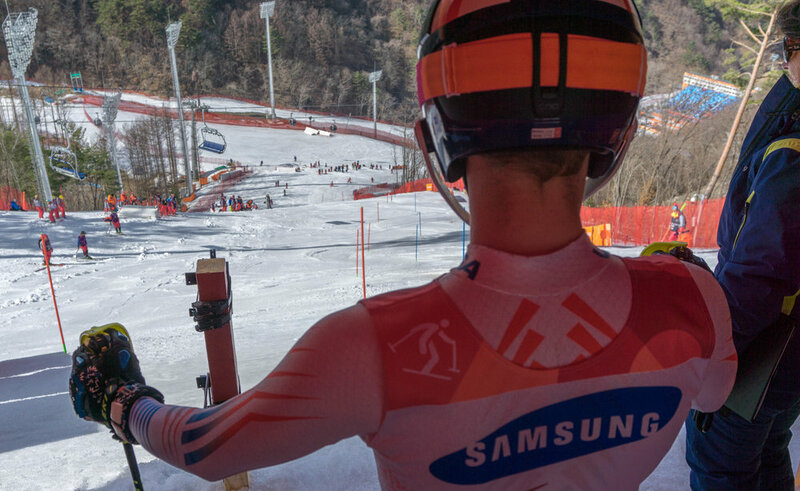 Traveling with a professional ski team around Europe with an insiders view of the "race world" side of a sport I'm passionate about can surely be rousing. Like most things, the honeymoon phase eventually wears off and life on the road becomes more structured and much less romantic. But to receive an invite to attend the Winter Games with the team was an honor for me and would end up being an experience of a lifetime. My role with the team is pretty low in the grand scheme of things but knowing that the work you did was part of a medal-winning result on the biggest stage in the world was quite thrilling. Knowing that our athletes have put years of training and work into preparing for the chance of winning a medal and finally seeing that medal become a reality is something special to witness. Not only was it exhilarating to see athletes on the team I personally know win medals but seeing the entire United States team have huge successes gave me a real sense of patriotism. A huge round of applause goes out to Team USA for winning the medal count but more importantly for representing our country well on the world stage. Kirka on the way to Gold. Personally, my experience was much different than an athletes experience. Duh. I didn't stay in the Olympic Village most nights because the race venue was almost an hour away and our work usually required us to stay late and arrive early each day. This had some good and bad aspects but overall was just fine with me. We had to miss the Opening Ceremonies and didn't see much outside the alpine skiing venue. Although we did get to attend the Closing Ceremonies. For me the ceremonies were a real eye-opener to just how small this world is and how much we all really have in common. It was amazing to see so many countries come together, embrace our differences and celebrate an event that brings us together in sportsmanship. Jamo on his way to the podium. 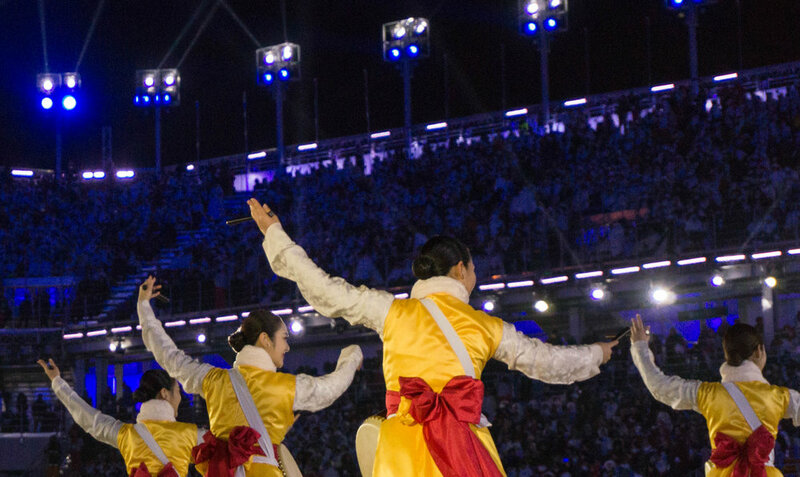 Hosting a Winter Games is a huge endeavor and the South Korean people should be proud of their effort and efficiency in PyeongChang. This event wouldn't have happened if it weren't for the thousands of volunteers who put in so much work on a daily basis. They all deserve a medal of their own. Everyone I met was friendly, kind and more than willing to help. When the competition was happening the volunteers would cheer and shout for each athlete, no matter where they finished in the results or where they were from. A true sign of the South Korean kindness and hospitality that was felt throughout my entire experience in South Korea.